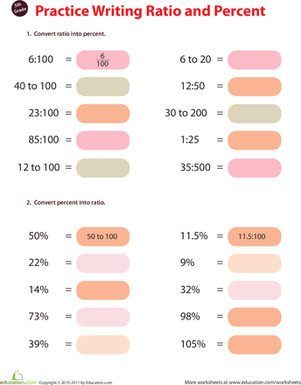 Does your fifth grader need practise calculating percent? 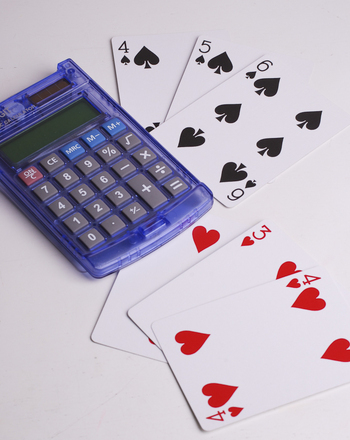 Applying maths to real-life situations is a great way to help her grasp difficult concepts. 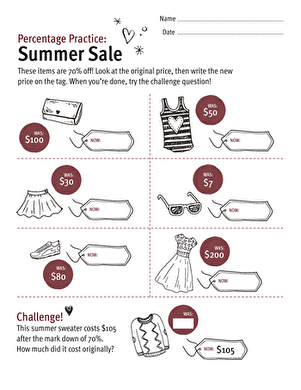 In this worksheet, she'll practise calculating percent in a situation she likely knows and loves: shopping! 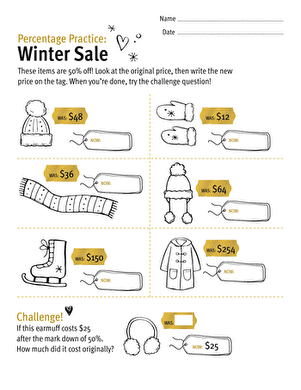 See the rest of the worksheets in this series for more percent help. 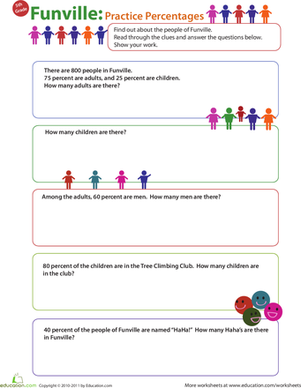 Kids solve word problems about the people of Funville for a lesson in calculating percent in this year 6 maths worksheet. 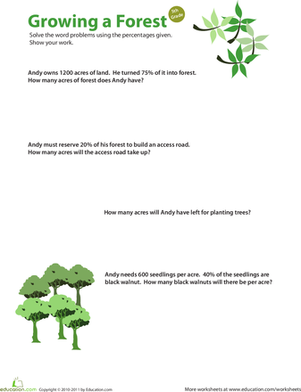 Kids solve forest word problems for a lesson in calculating percent in this year 6 maths worksheet. 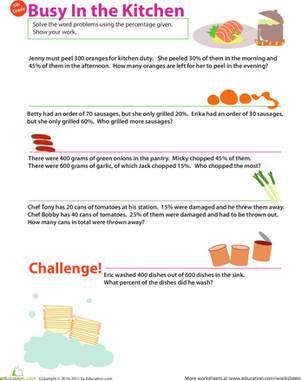 Kids solve word problems about chefs in a kitchen for a lesson in calculating percent in this year 6 maths worksheet. He'll practise calculating basic percentages of a number, a handy skill that's used in everyday activities. Kids solve word problems about a chocolate factory for a lesson in calculating percent in this year 6 maths worksheet. Spend the afternoon in a percent pumpkin patch! Work through these Halloween-themed maths problems to change each percent into a decimal number. 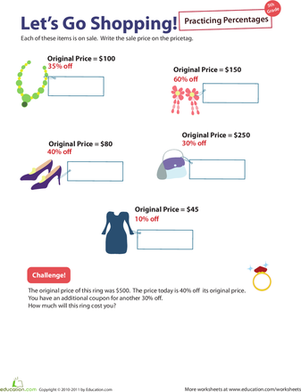 Percent practise #6: Let's Go Shopping!